This publication is designed to offer a clear overview of the legislation that governs Copyright and seek to explain the legal approach adopted by the courts. "Copyright protection in Malaysia is governed by the Copyright Act 1987 which provides comprehensive protection for copyrightable works. The Act which came into force on 1 December 1987 has undergone various significant updates since then. The Act outlines the nature of works eligible for copyright, the scope of protection and the manner in which the protection is accorded. A unique feature of the Act is the inclusion of provisions for enforcing the Act, which include powers to enter premises suspected of having infringing copies and to search and seize infringing copies and contrivances. Copyright in essence reserves the copyright to the owner to make copies of the work and to authorise the making of copies, as well as control other acts of exploitation, for a specified duration. Copyright is conferred on original literary, musical and artistic works, films, sound recordings, broadcasts, derivative works and typographical arrangements of published editions. Related or neighbouring rights like performers’ rights and moral rights are also protected under the Act. This publication is designed to offer a clear overview of the legislation that governs Copyright and seek to explain the legal approach adopted by the courts. 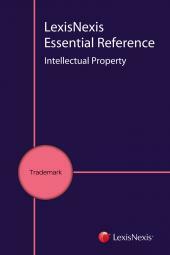 The publication includes: Commentaries on defining specific terms within the Act, The commentaries also cross-refer to local and international cases, Relevant local and international legislation, Summary of recent Copyright cases This publication will serve as an indispensable guide and an essential reference for intellectual property practitioners specializing in copyright, corporate counsel, prosecutors, judges, students, lecturers, as well as researchers. "